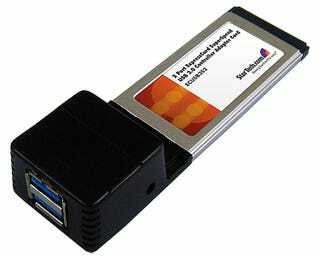 What's Wrong With a USB 3.0 ExpressCard? Well, there really isn't much you can do with USB 3.0 yet for starters. And people who still have laptops with ExpressCard slots don't strike me as the early adopter type. Oh, and then there is the AC adapter.